Drug delivery is a method of administering a pharmaceutical compound to humans, animals, birds, etc. Preference for nasal and pulmonary routes of drug delivery or for treatment of various human diseases has been increasing. These routes of drug delivery provide an effective alternative to conventional drug delivery methods, particularly for peptide and protein therapeutics. There are several drug delivery systems that are formulated and are being examined for nasal and pulmonary delivery. These include liposomes, proliposomes, microspheres, gels, prodrugs, and cyclodextrins. Adoption of nanoparticles composed of biodegradable polymers for drug delivery owing to it meeting the stringent requirements on drug delivery systems, ability to be transferred into an aerosol, stability against forces generated during aerosolization, biocompatibility, targeting of specific sites or cell populations in the lung, release of drug in a predetermined manner, and degradation within an acceptable period of time are major factors of nanoparticles composed of biodegradable polymers. The factor that is anticipated to drive demand for drug delivery devices is increasing the prevalence of chronic diseases in countries across the globe which is resulting in increasing consumption of therapeutic drugs and therapies. In addition, increasing government expenditure on the pharmaceutical sector, rising R&D activities for advancements in nature of treatment associated with drugs are also factors that are expected to positively impact market growth. 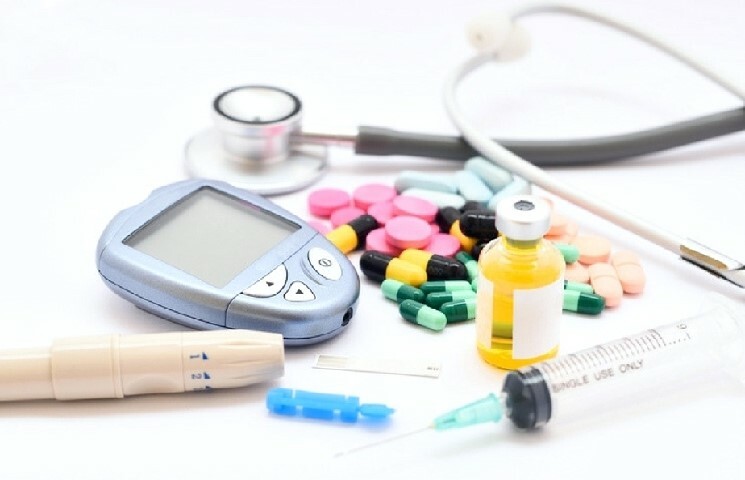 Well-developed healthcare infrastructure in developed countries is creating the possibility to conduct technological advancements and manufacturers’ approach towards the development of advanced drug delivery devices that support drug delivery at a controlled rate and at the targeted area is expected to support market growth. Rising concerns regarding safety and health among individuals, coupled with favorable reimbursement scenario in developed countries is resulting in high adoption of drug delivery devices. Lack of expertise required for delivering therapeutics and drugs through certain devices and non-favorable reimbursement scenario in developing countries is resulting in low adoption of devices. In addition, rising R&D costs, stringent regulatory scenarios for product approvals, and heavy investment for drug firms in order to facilitate the adoption of devices are some other drawbacks that challenge the growth of drug delivery devices. Route of administration is segmented into oral drug delivery, injectable drug delivery, topical drug delivery, ocular drug delivery, pulmonary drug delivery, nasal drug delivery, and transmucosal drug delivery. Preference for orals drug delivery mode continues to be high among the aging population, and this is attributed to increasing incidence or prevalence of infectious diseases, diabetes, and respiratory diseases, and also because implantable or insertable drug delivery devices could cause infection or have adverse effects due to the age factor. North America accounts for the largest revenue share in the global drug delivery devices market currently due to well-developed healthcare infrastructure to conduct R&D activities, and high use of drug delivery devices in countries in the region. In addition, availability of favorable reimbursement scenario and presence of major players operating in the countries in this region is another factor driving market growth. Asia Pacific market is expected to witness significant growth in the near future due to increasing government expenditure in development of healthcare infrastructure, developing regulatory scenario, and presence of prominent players operating in emerging economies such as India and China. Some of the major players operating in the global drug delivery device market are F. Hoffmann-La Roche Ltd., Antares Pharma, Inc., Novartis AG, 3M Company, Sulzer Ltd., Gerresheimer AG, Sanofi, Johnson & Johnson Services, Inc., Bayer AG, GlaxoSmithKline plc, and MEDMIX SYSTEMS AG. Wayne Ross has over 15 years of experience in a range of industries and domains. Wayne has a flair for gathering data and information through extensive research efforts and has a strong set of skills to cover almost any domain with ease and produce reports that are easy to understand and aid in making well-informed decisions.